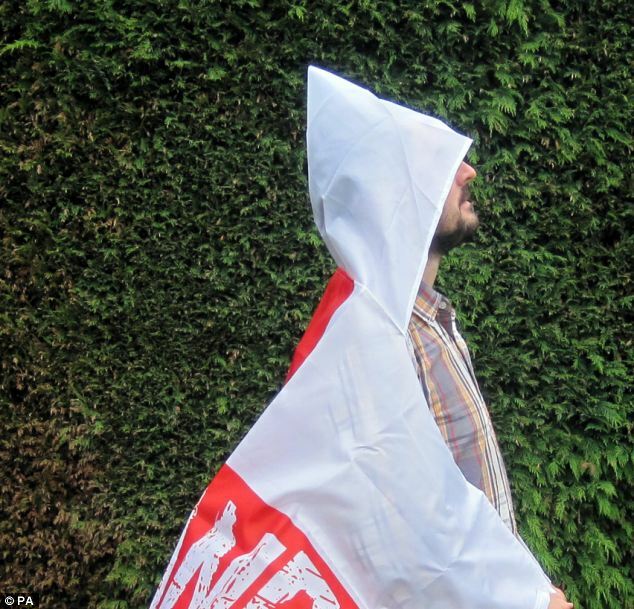 Supermarket Asda has defended a 'wearable England flag' it has launched for the World Cup after claims it resembles a Ku Klux Klan outfit. 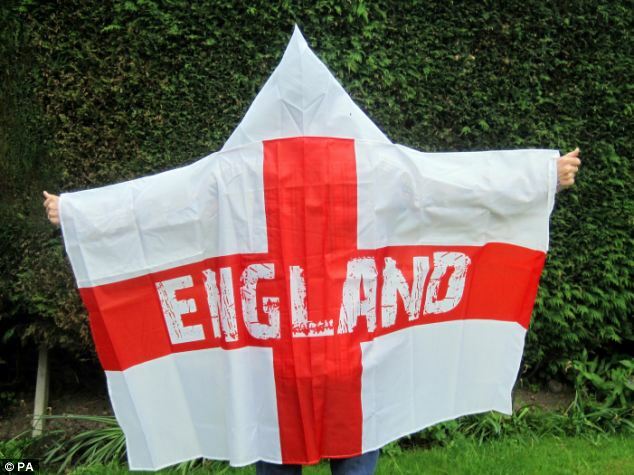 The £3 St George’s Cross, with the word 'England' emblazoned across it, features a hood which Asda said was to allow fans to stay dry in the unpredictable British weather. But some fans took to Twitter today to point out the similarities between the hoods and those worn by the racist US organisation, also known by its initials 'KKK'. Another user called Simon replied on his account: ''ENGLAND RULES OKKK' Honestly, do Asda simply not bother to see how these things look when worn?